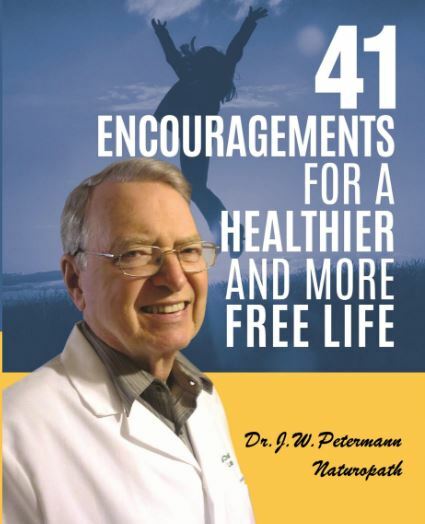 Embrace a healthier lifestyle - Let Dr Petermann ND Inspire YOU! They say there is a 1st time for everything - well, this is a first for me. 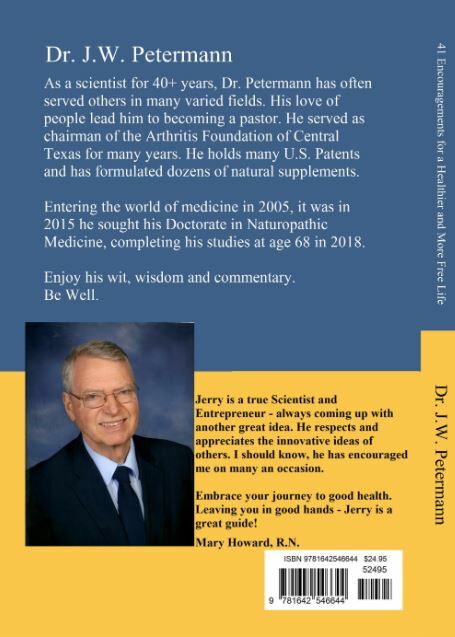 I was both pleased and honored when Dr Jerry Petermann asked me to write a forward for this book. I have known Jerry for 6 years or more. He is one of those people you get to know easily thru conversation even though we have never met in person. Dr J.W. Petermann N.D. has a style of writing that is both educational and entertaining with an unending flow of wit and humor. You will find this a light and quick read yet go away feeling a deeper understanding of life and a resolve to take better care of this body you have been given. You will come away with an understanding of nutrition on a level you never thought you would be able to attain. Dr Petermann is a true Scientist and Entrepreneur - always coming up with another great idea. He also respects and appreciates the innovative ideas of others. I should know, he has encouraged me on many an occasion. Embrace your journey to good health. Leaving you in good hands - Jerry is a great guide!